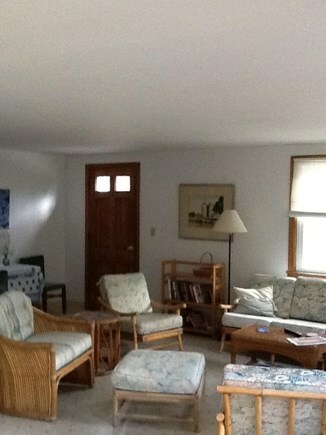 Both front and deck doors enter into the living area. 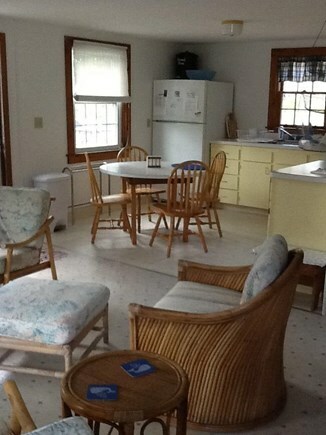 The kitchen is open to the living room. 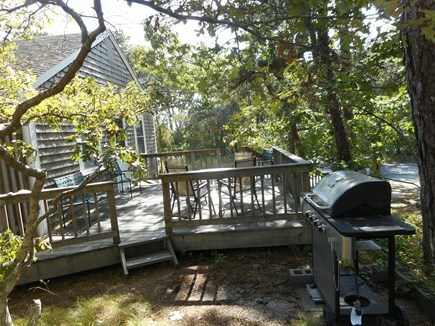 The gas grill makes barbecuing an easy task, for a deck dinner. 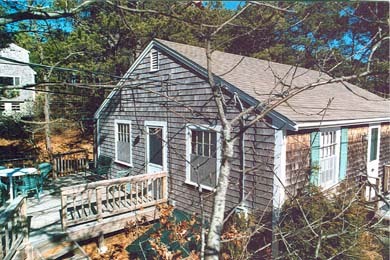 With views of the harbor through the trees, this cottage is set on a separate lot on a dead-end steet with nice privacy. Walk to the village,or the pier for the Wednesday night square dance or to fish, or the bay beach at Powers Landing or Mayo. 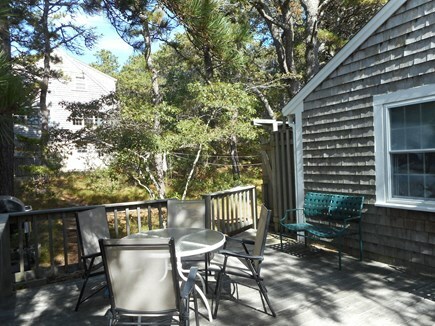 The large deck has a table for five with a gas grill just off the back; and, the eat-in kitchen is well supplied.There is a single rollaway for the extra guest. Golf and tennis are less than a mile away, as well as Bakers Field, with its playground, ballfields and basketball court. 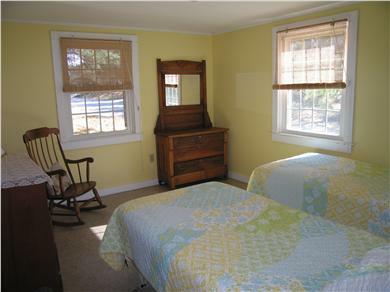 Very cute cottage, our family enjoyed our vacation here. Nice quiet location on a dead end street. Kitchen is large and very well equipped. 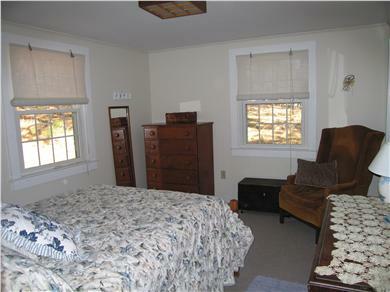 2 bedrooms, one with twin beds and 1 with a full sized bed. Really enjoyed the outdoor deck and great outdoor shower. Having access to a washer & dryer was a huge plus. 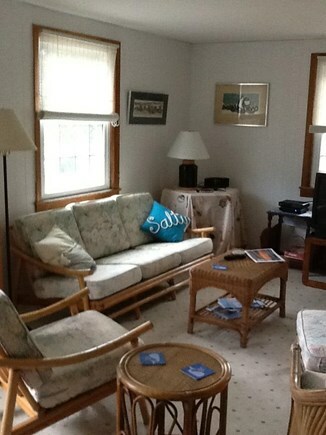 The location of the cottage is just fantastic, 3 minute walk to the bay beach. Short walk to the pier for ice cream or uptown to grab groceries. A great location. Squeaky clean and very comfortable. Owners very helpful answering all questions.